Evaluation Management can be categorized in three ways. It looks at the evaluand (issue being evaluated) through assessment and analysis. It includes the nine project management knowledge areas and five project management process groups. It is a form of component evaluation and also incorporates dimensional evaluation as appropriate. Project Management Evaluation (PME) includes the assessment and analysis of project life cycles, systems and methodologies (i.e., DMAIC, ADDIE, PLAN-DO-CHECK-ACT). PME aims to determine the preferred PM method to use given specific requirements. For example, a "GAP Analysis" may be used in a summative context to determine what was missed using DMAIC. Whereas, Performance Improvement" may be used In a formative context to determine improved PM practices as it relates to business continuity planning. Evaluation Project Management (EPM) addresses managing evaluation projects through evaluation approaches, which have the form of a project life cycle, system or process. 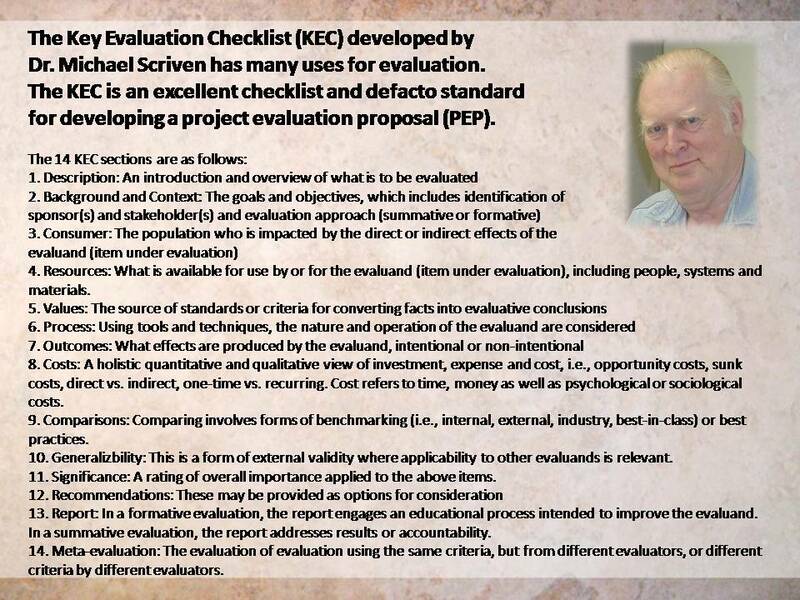 One popular example of evaluation project management is Scriven's Key Evaluation Checklist. The benefit of using the KEC is that it provides a framework by which to conduct evaluations or meta-evaluations. A meta-evaluation purposes to judge the evaluation by using the same or different criteria. Meta-evaluation: different people use the same criteria or different criteria to gather additional insight into the lessons learned. Meta-analysis: multiple lessons learned are reviewed to look at common themes or approaches that have been successful. Note: the key text The Basics of Project Evaluation and Lessons Learned by Willis H. Thomas, PMP discusses these issues in greater detail. Project Evaluation: component evaluation is analytic evaluation, which involves an assessment of each aspect of the evaluand (project), and the sum of the whole consisting of a report on the merit (relative quality based upon criteria) of each item. Each component is segmented into Process Groups and Knowledge Areas. Program Evaluation (traditional programs, not project-related program management): Individual evaluations conducted periodically to determine how well a program is working, i.e., English as a Second Language (ESL). Policy Evaluation: analyses conducted to determine adherence, i.e., Compliance to No Child Left Behind Legislation. Process Evaluation: focuses on characteristics or variables such as method, system, or sequence. Performance Evaluation: result of achievement based upon established criteria or values. 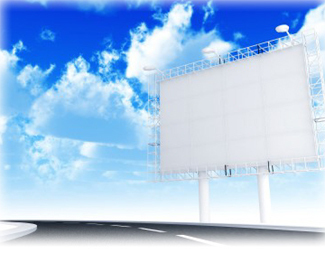 Product Evaluation: the comprehensive review of goods, services or results, i.e., the product of the project.